Here is something that you don't see everyday. In fact, look around and I'm certain you won't find anything like this! 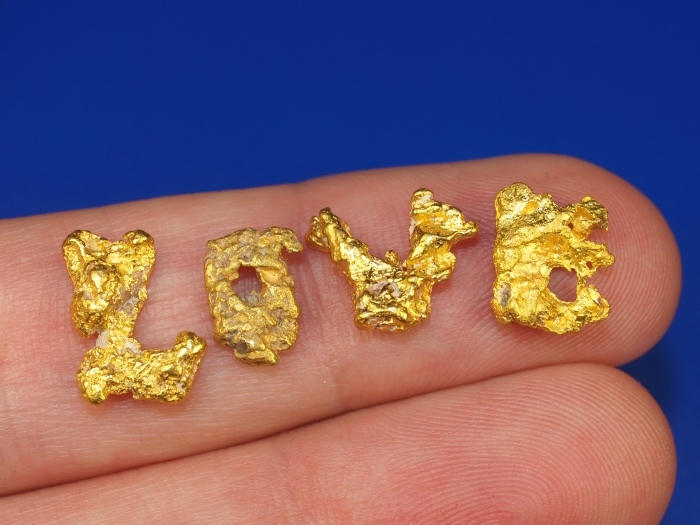 These are natural gold nuggets that spell out LOVE! 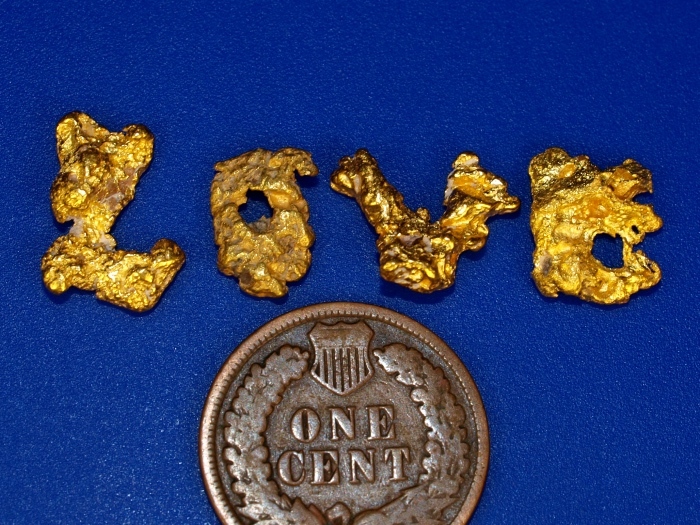 I get the opportunity to sort through pounds and pounds of natural gold nuggets every month. 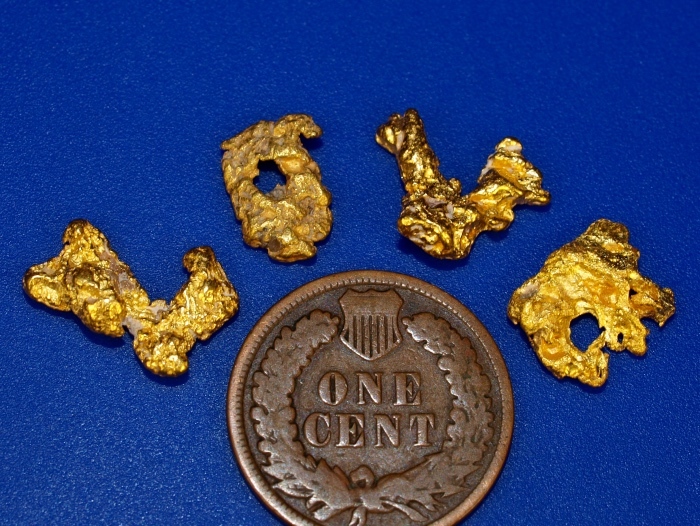 Occasionally I come across a nugget that looks like a letter and I always set it aside for my collection. It took a long time but I finally put together a nice collection of LOVE nuggets. Their combined weight is 5.65 grams.